You’ve heard of By The Meadow right? The three-day, two-night, one-way trip to paradise? 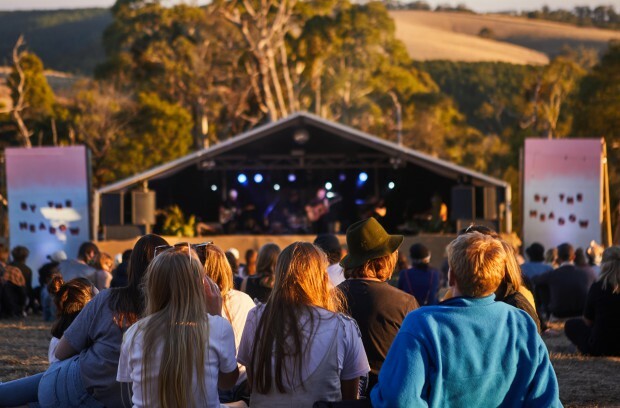 Well, we have and we love the By The Meadow festival and everything about it; from its ethos and its vibe to its location and its killer lineup, and of course the BYO factor. Continually evolving and now in its sixth year, this festival is at the peak of its game. This year we thought we’d get involved in all the excitement by joining forces with By The Meadow to open up a slot on the lineup, giving an opportunity for emerging artist from the Geelong/Surf Coast/Otways to score themselves the opening slot on the line up alongside this year’s eclectic menagerie of artists. Yes that’s right… you or your band could be joining the 2019 lineup, sharing the stage with the likes of this year’s headliners, The Murlocs, American indie rock songwriter Lucy Dacus, dance floor filler Harvey Sutherland, 7-piece psych funk band The Seven Ups, hometown returnees The Vasco Era, Brisbane trio The Goon Sax and many more. The best part about it all is it’s not one of those excruciatingly long applications processes with 101 ridiculous questions. Keeping it simple, all you have to do it fill in your main details (name, email, phone number) and then explain how are you connected to the local area (Geelong/Surf Coast/Otways) in 40 words or less. Finish it up with a link to your music and voilà! Applications are open now until midnight Friday February 22 via via www.bythemeadow.com, or you can find it right here. Go forth, spread the word and tell your talented muso friends. This is an opportunity not to be missed.